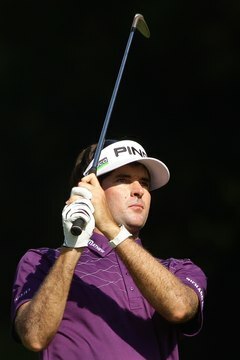 Bubba Watson is just one of the many pros who use investment cast irons. Back in the days of Bobby Jones, you played forged irons. There were no retail outlets; instead, golfers had blacksmiths make clubheads for them from a block of iron. Modern golfers have less trouble getting clubs, but they have more options. One of them is the choice between traditional forged irons or investment cast irons. Although blacksmiths no longer handle the task, forged irons are still made in much the same way. The clubhead starts its life as a piece of steel. It's heated until it's red hot, then the craftsman uses a machine called a forging hammer to pound the steel into shape. He reheats and hammers the metal over and over until he gets the shape he wants. He then puts it through its finishing processes. This is a labor-intensive process, but the result is both predictable and controllable. That's why pros have traditionally preferred forged irons. By the late 1950s investment cast clubs entered the market. At first it was only putters, designed and cast by Karsten Solheim. But his Ping company soon moved into the design and manufacture of cast irons, essentially creating the market for game improvement clubs. Cast irons began with molds into which molten metal was poured. This let the worker form the clubheads into any shape he wanted. When they cooled, he broke the molds and finished the clubheads. Investment cast clubs not only incorporated cavity-back designs, but they were less expensive than forged clubs. Investment casting created a whole new market among amateurs. It wasn't long before the pros took notice of these new game improvement clubs. Many held to tradition, feeling that these new cast clubs were inferior. In many ways they were. Air bubbles were always a danger with investment casting. These bubbles could affect a pro's accuracy, although they were rarely a problem for the amateurs. But some pros adopted the new clubs, and this encouraged manufacturers to improve the production process. Likewise, companies that specialized in forging began searching for ways to incorporate more game improvement features into their forged designs. The increased competition drove improvement in both types of irons. Although many pros still use forged irons, a large number now use investment cast irons and there is no stigma attached. Former U.S. Golf Association Technical Director Frank Thomas says there is no longer any real difference between forged and cast irons – provided, that is, that the designs are the same. Cast irons are now capable of providing the same feel and quality as forged irons. Forged irons incorporate many of the same game improvement designs as cast clubs. But the primary choices you face when choosing between the two are the same as they have always been – how the irons feel and how much you're willing to spend.